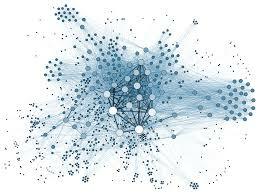 Experts from the UK Data Service will advise research staff and students on working with qualitative and quantitative research data. 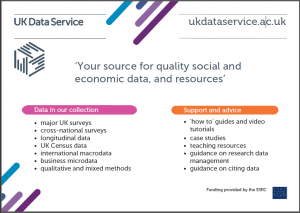 The UK Data Service (UKDS) is funded by ESRC and is the country’s largest archive of social science and economic research data. Four UKDS representatives will provide advice and guidance on a range of topics, including informed consent, data storage and security, anonymisation techniques, documentation standards, and more. This Research Data Drop-in Clinic will be held on Monday, 23 May 2016 from 12:00 – 2:00pm at the London School of Hygiene & Tropical Medicine (Keppel Street London WC1E 7HT). Admission: Drop-in. No registration is required. Open to all Bloomsbury research staff and students. See for further information and venue details.